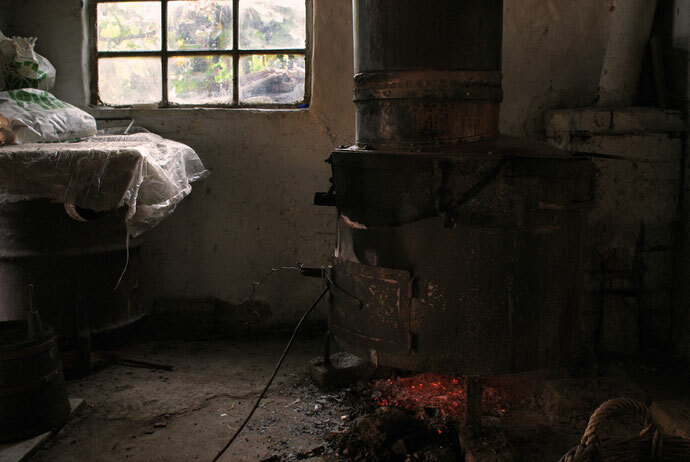 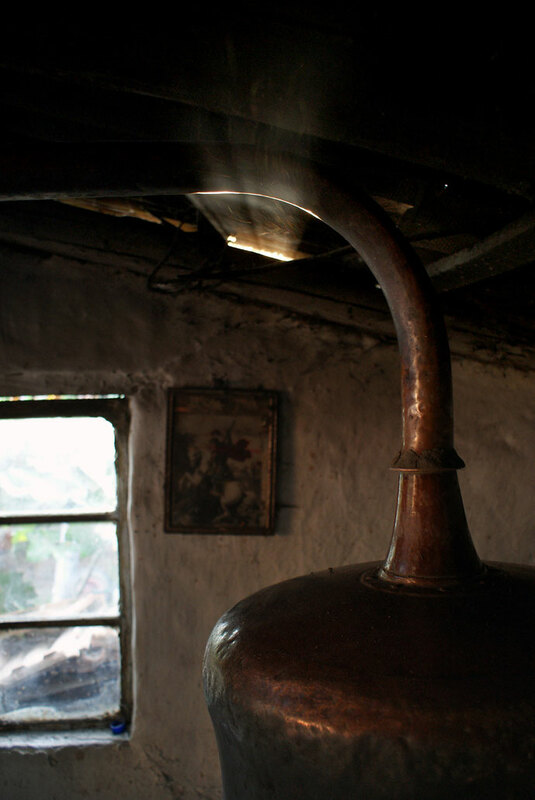 Slivovitz or Šlivovica: the plum brandy - Cooking along the Drava. 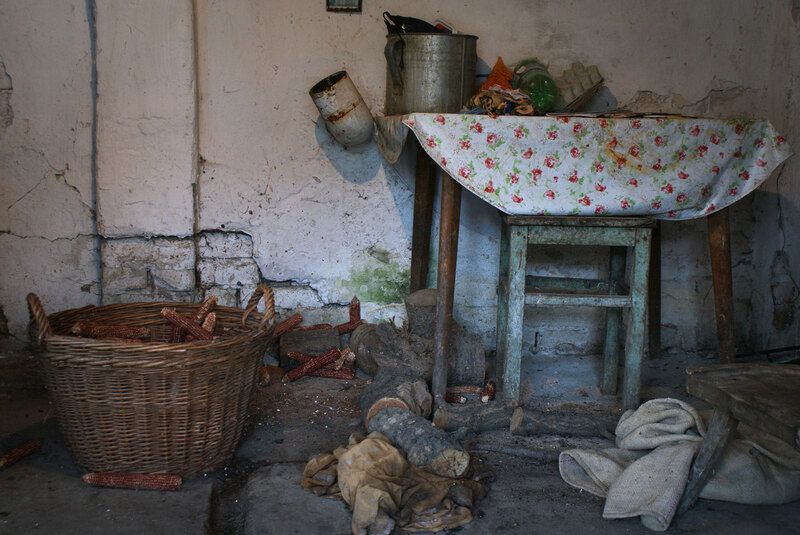 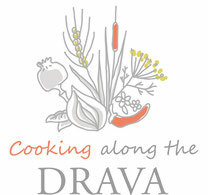 Croatian traditional food, travel and landscape. 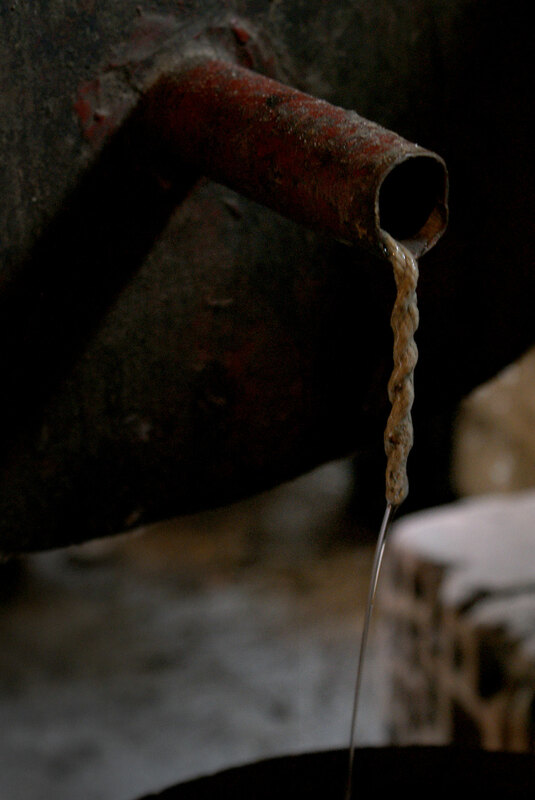 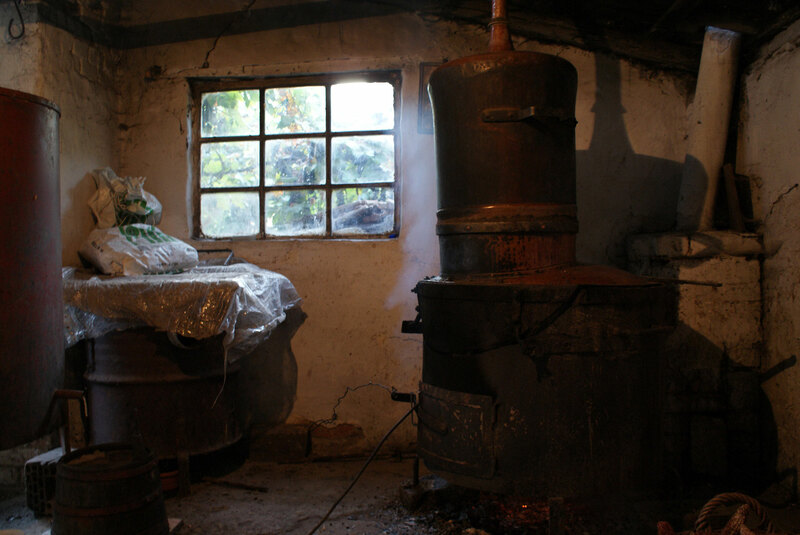 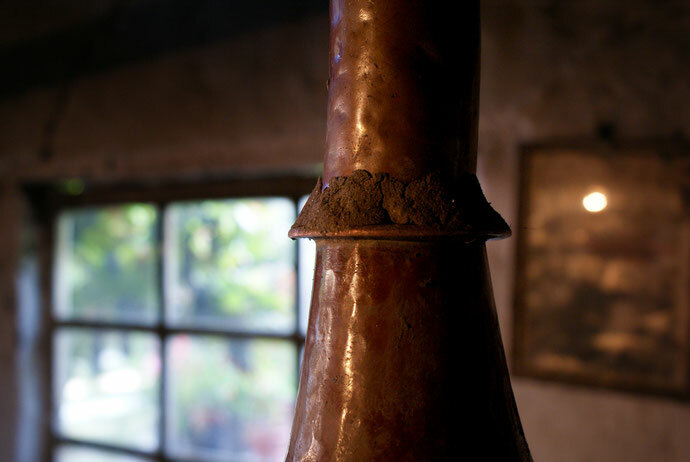 Always, here in northern Croatia, it's tradition to make plum brandy. We here call it Šlivovica, but it is internationally known as Slivovitz. 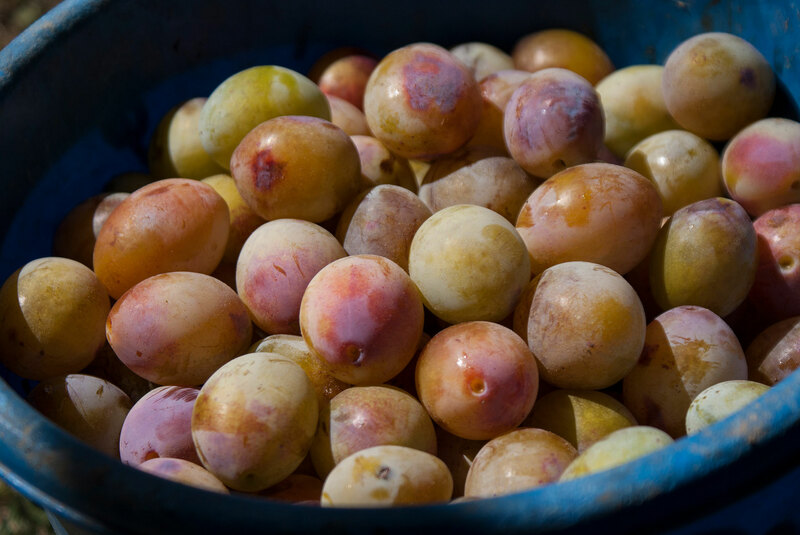 Usually blue plums are used, but here in this area we have a special variety of white plums, very small and very sugary, and we make the Slivovitz from these plums. They are called Valpovačke. 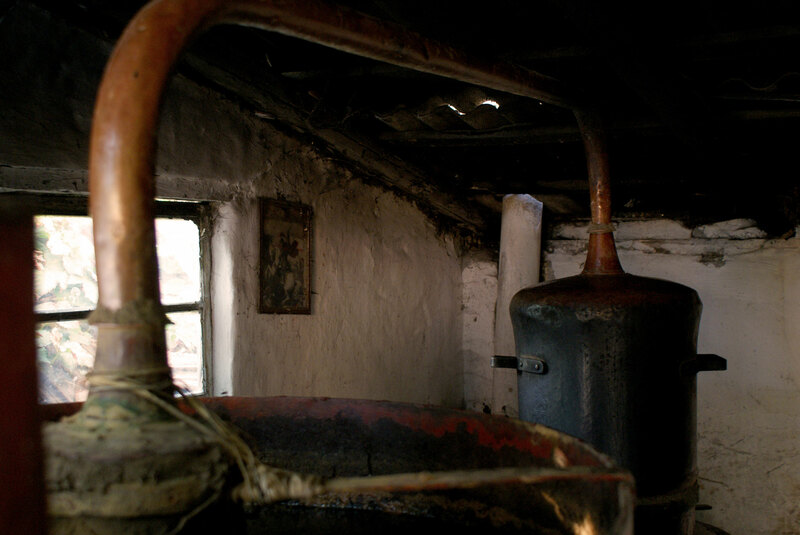 Each house had its orchard with plum trees, and each one produced his own Slivovitz. Since I'm little we kids go picking up plums every day. 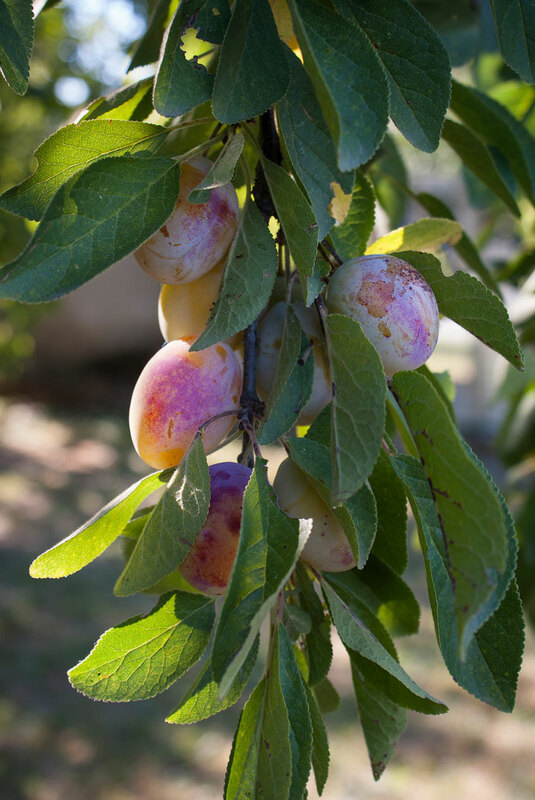 Yes, because you have to wait for the plum to fall from the tree to the ground, then you know are ready. And as a child I always went to the distillery to help and to experience the excitement of the first drops of distillate that came out of the serpentine. 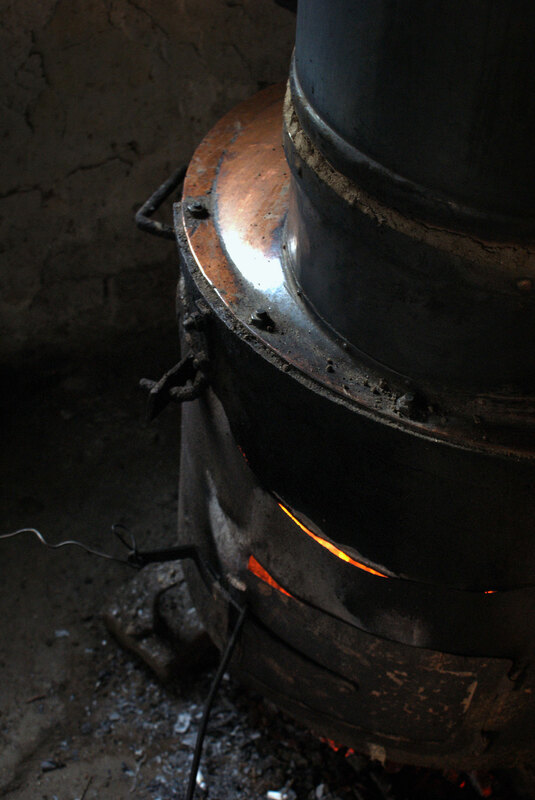 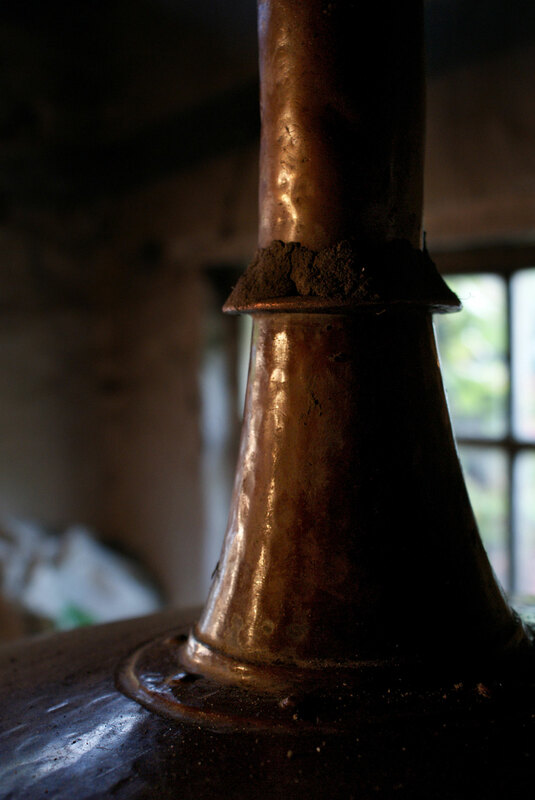 We still use the old copper distiller as it has always been. 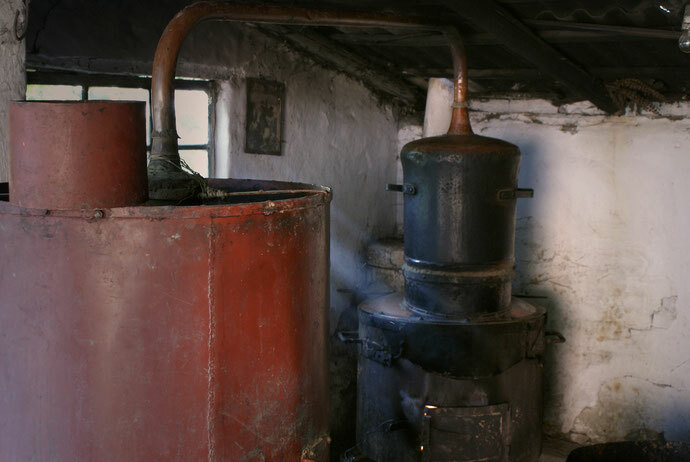 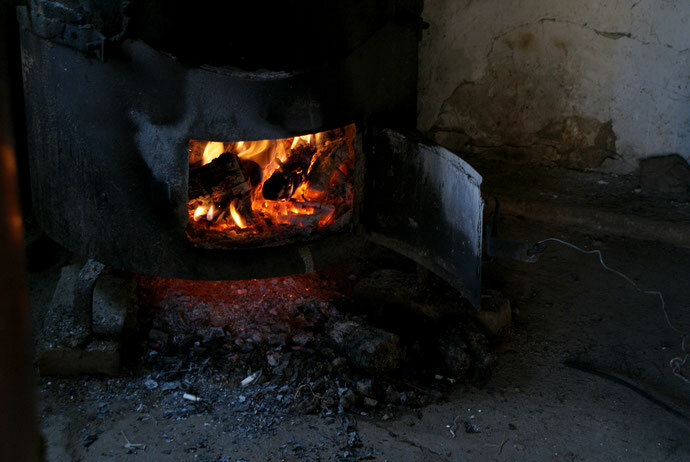 The distiller that is mounted and sealed with clay, and powered by a fire of wood. 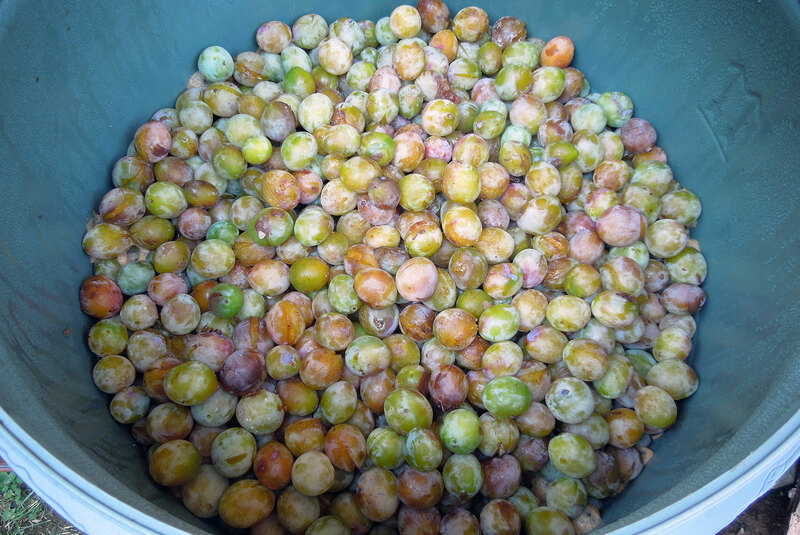 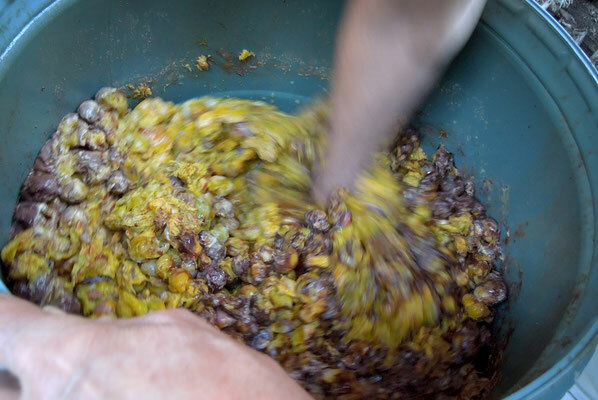 Today is a special day, because we have brought to distill our last plums. And it was the fifth time. 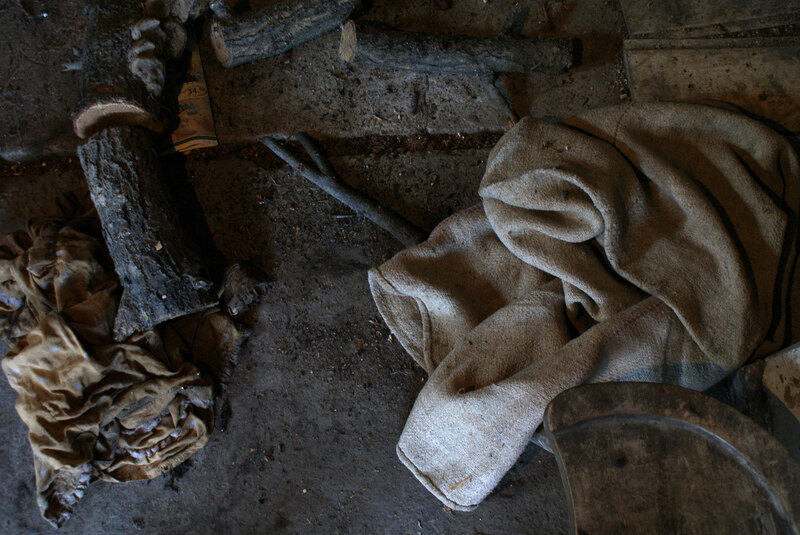 For this year is over. 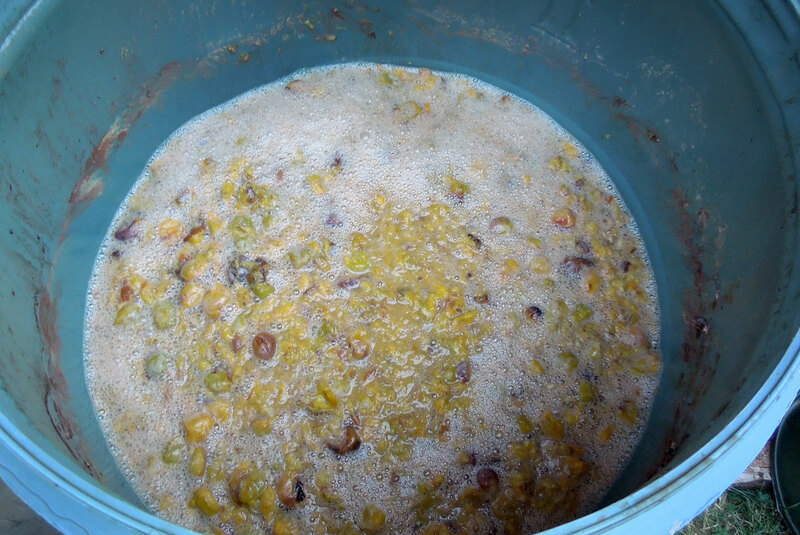 We did not have as many liters as other times (only 33.3 l), but they are very good, and have the scent and the sweetness of plums. 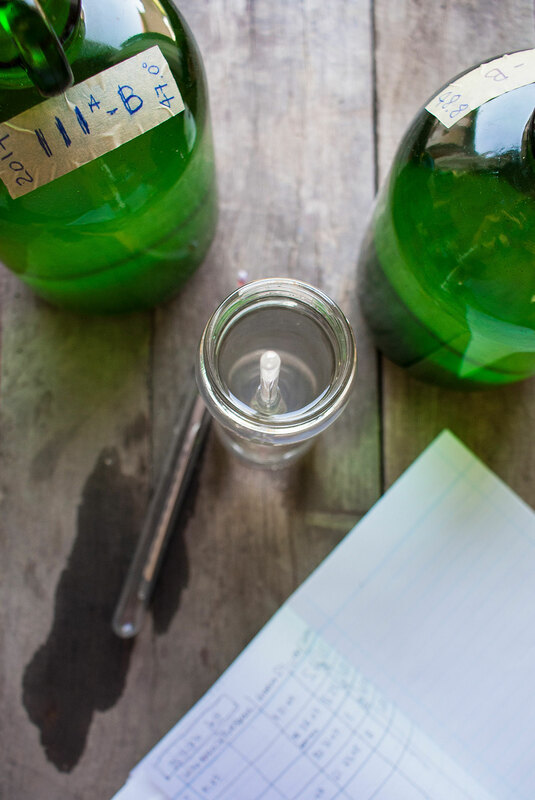 Now we can measure the distillate done, and transfer it into bottles with our "labels". 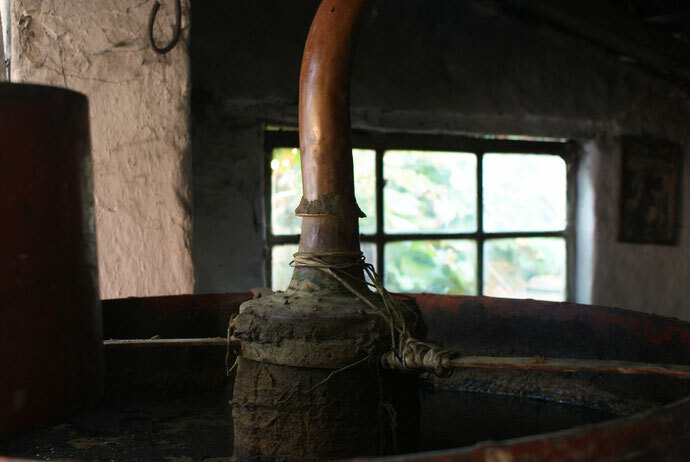 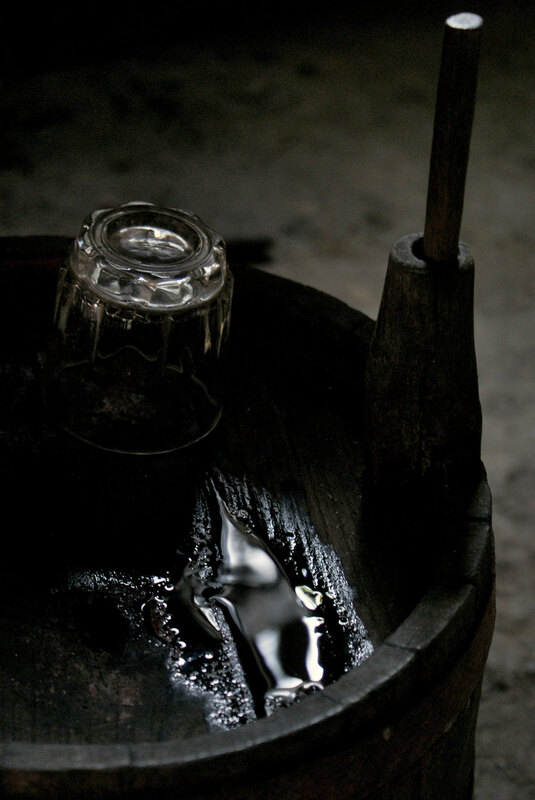 A float is used to measure the alcoholic degree of the distillate. 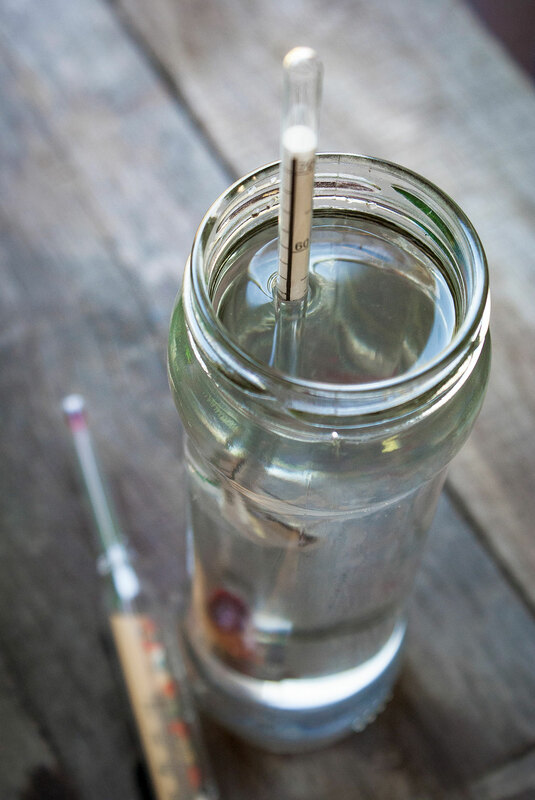 But the degrees you read are related to the liquid temperature, so you need to use a conversion table. Our plum brandy range from 45.5 to 48.8 % vol. 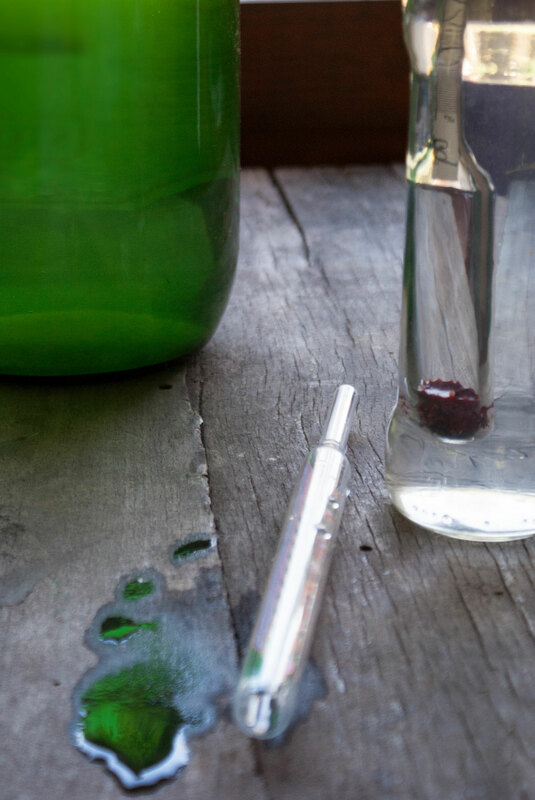 Things to do to get a plum distillate are very simple. 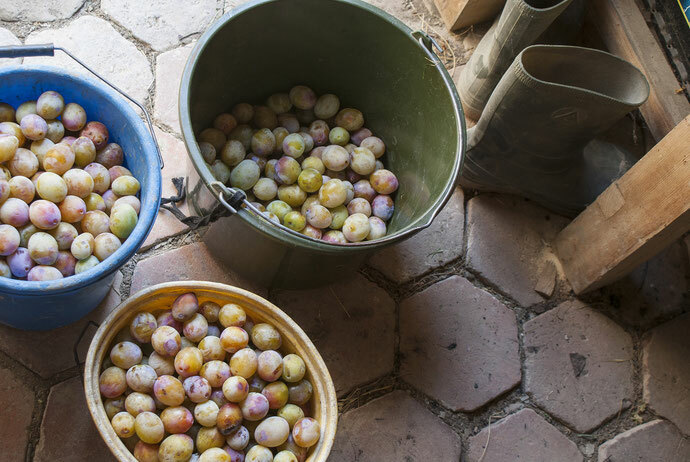 Plums must be collected from the ground every day, avoiding being too long in the sun. 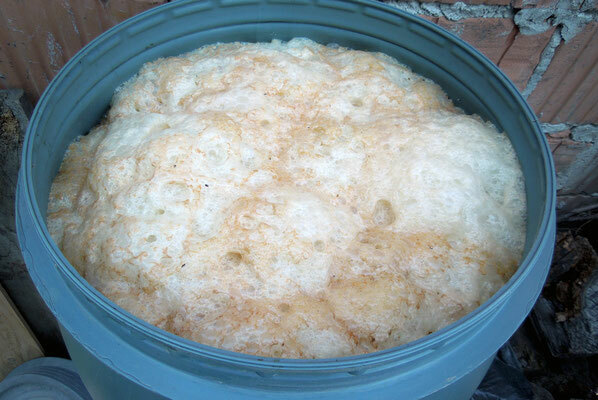 Then they should be placed in a large container of about 120 liters. 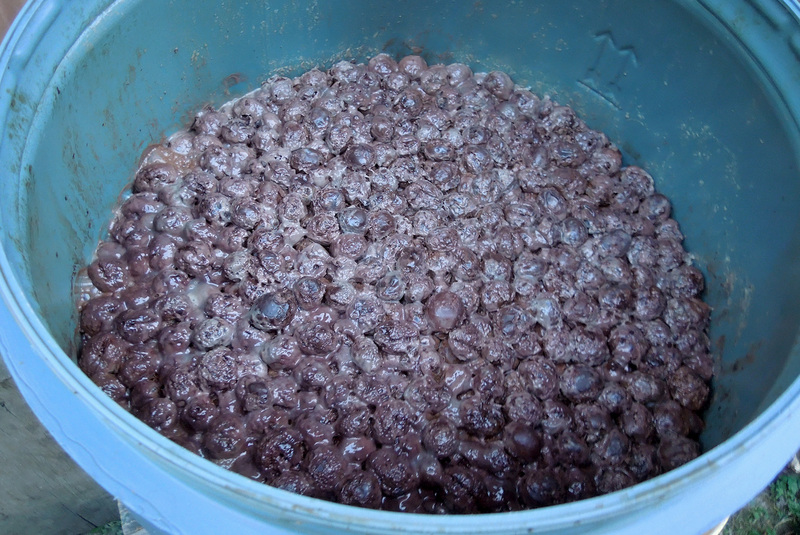 To fill one takes two to three days, but of course this depends on the number of trees you have. 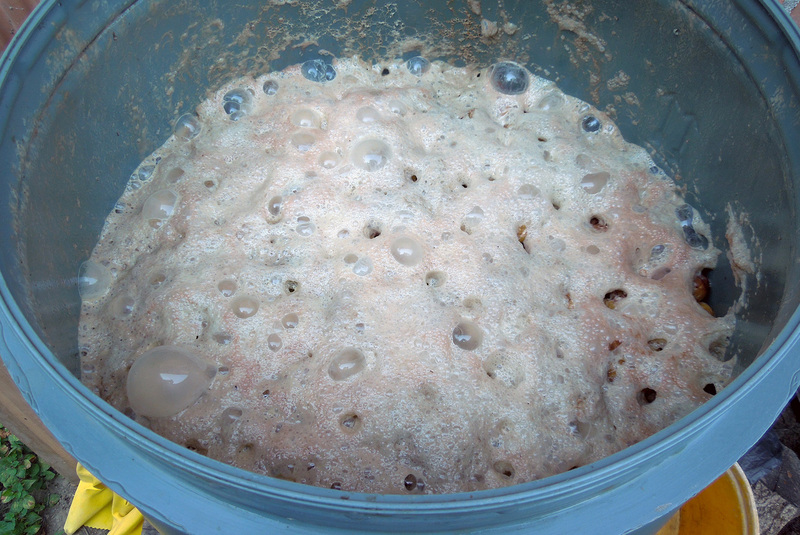 And then expect the plums to ferment in the container, leaving a thick brown crust on the surface. 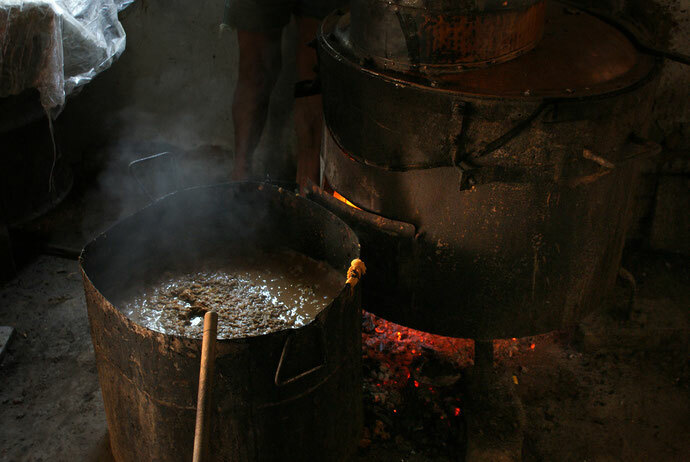 It may take from four days to a week, or more. 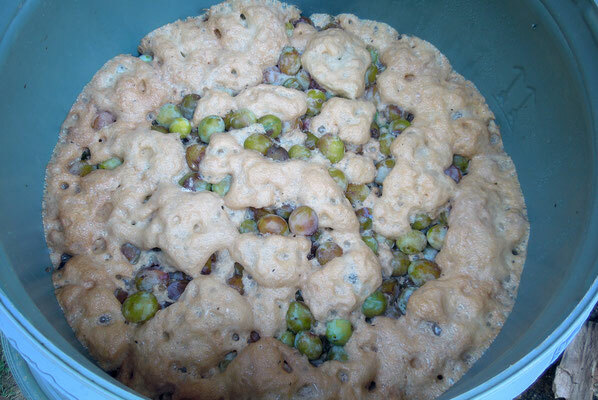 It depends on the temperature and the sweetness of plums. 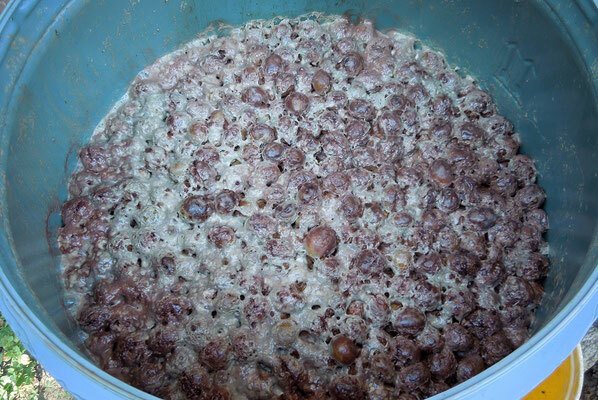 After that the plums are mixed, and are brought to distillation. 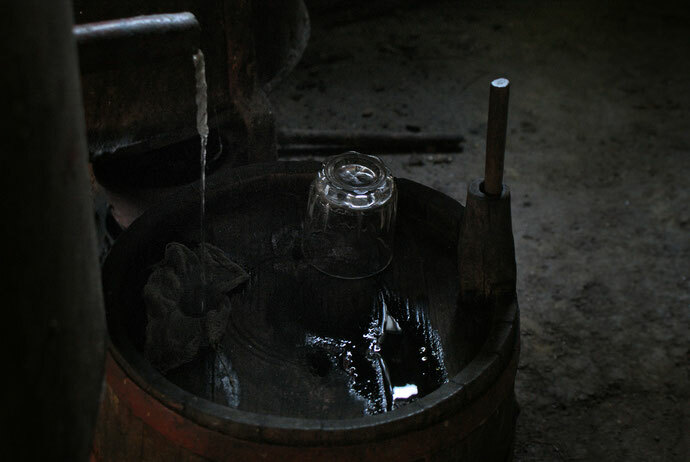 This has now become the most complicated part. With the new European standards it has become difficult to regulate production for personal use, and especially those who own the distiller has much more trouble renting it to others. As a single result, this tradition of plum distillate is losing. 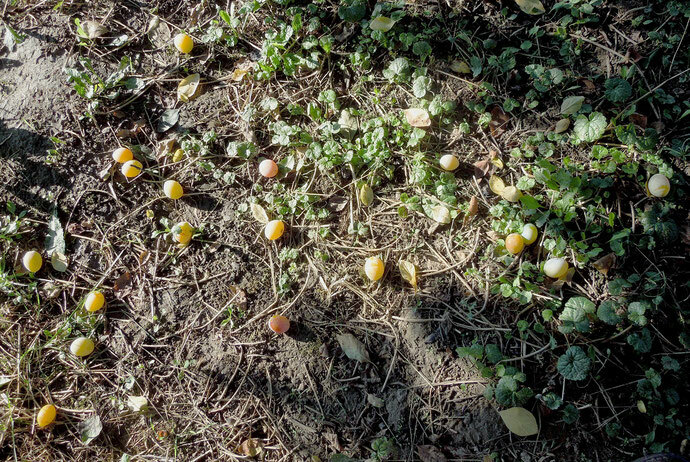 Plums are often left to the ground, and, worse, the trees are slaughtered. 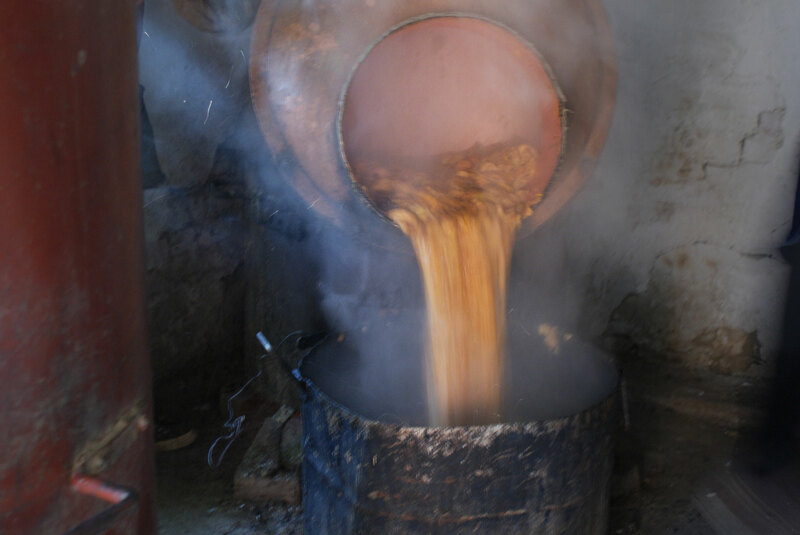 In total, this year, to make five distillates, for a total of 33 liters, we took about 40 days.